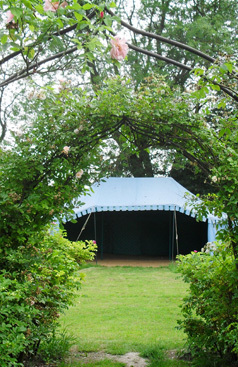 At Majik Marquees our aim is to provide you with the most attractive and stunning tents for any event desired. Be it a wedding, garden party or festival our range of specialist marquees will ensure your event is the talk of the town. Our range includes our modern and stylish freeform - made from Lycra; it can be stretched to different sizes and shapes to give you’re a distinctive and iconic look. Or if you require a more traditional design, we can provide you with one of our specially imported Indian tents either in the Kashmiri or Maharaja style, both are design classics, elegantly eastern, beautifully lined with colourful block-prints, they give you the chance to relax in exotic and opulent style. Or for something breathtakingly unique our grand Moroccan tent with swooping lines and colourful silk lining is truly memorable. Our selection of Tipis can also give your event a distinctive flavour as your guests can bed down in luxury under its graceful traditional design.